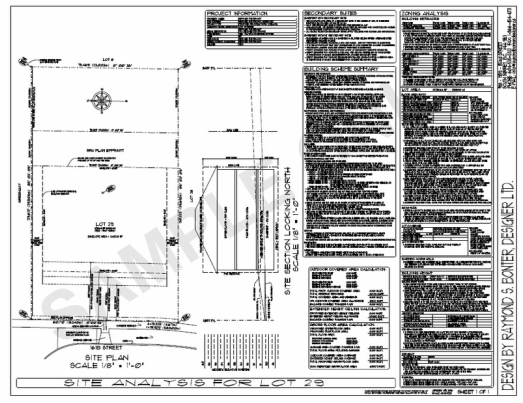 ​Our Site Analysis service includes a scaled preliminary site plan along with a simplified version of the applicable zoning by-laws and building scheme all on one convenient sheet. This enables one to know in a glance all there is to know about the restrictions and requirements affecting the proposed home. This service is offered either as a stand-alone service to realtors and potential purchasers to be able to know the detailed potential and restrictions of the property or as a part of our custom home design process, which is one of the first steps in the process.